The Netherlocks Valve Position Indicator (VPI) for multi rotation valves is the most reliable position indicator available for hand wheel operated multi turn valves. The Valve Position Indicator makes use of a mechanical counter. This counter converts the open and closed positions of the valve to electronic signals, ensuring the accuracy of valve status signals sent to the control room. 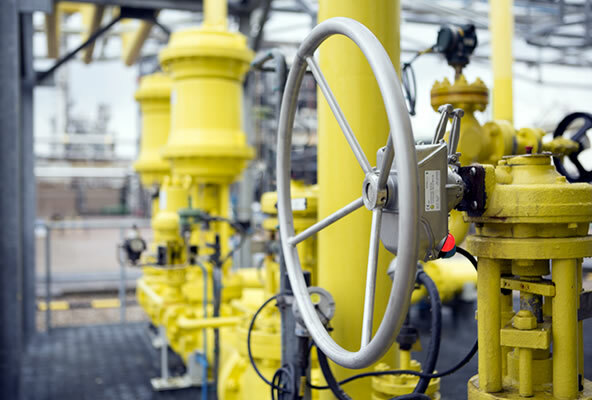 Within process industry, information on the valve status is essential in order to avoid injury and equipment damage. The Netherlocks Valve Position Indicator for multi rotation valves sends a signal about the position of multi turn valves to the control room, reliable and remote. The VPI enables a large range of switches and sensors to be applied. For mounting, no drilling or welding of valve or actuator is required. The VPI can be installed on both new as well as existing valves, even when under pressure. The valve position indicator is also suitable for use in explosion proof areas and requires no regular maintenance. It can be reset easily when valve end position change due to wear and tear. Traditional issues about mounting strength and signal reliability (such as welded brackets and other instable constructions) are bypassed by the Valve Position Indicator. It use a mounting method and a counter which are based on well-tested and proven designs. These designs have been applied successfully in mechanical valve interlocks of Netherlocks for more than 20 years. The VPI’s junction box is included in standard design and switches are fitted into a protective housing of stainless steel. A large range of sensors and switches can be used. Its body, internals and coupling materials are made out of stainless steel 316 and a custom made coupling is fixed solidly to the valve. The VPI can detect the valve position independently from the actuator and offers a second safety for indication of the valve position of critical actuated valves. Therefore, the VPI for actuators is used by many respected end-users in the oil and gas industry.